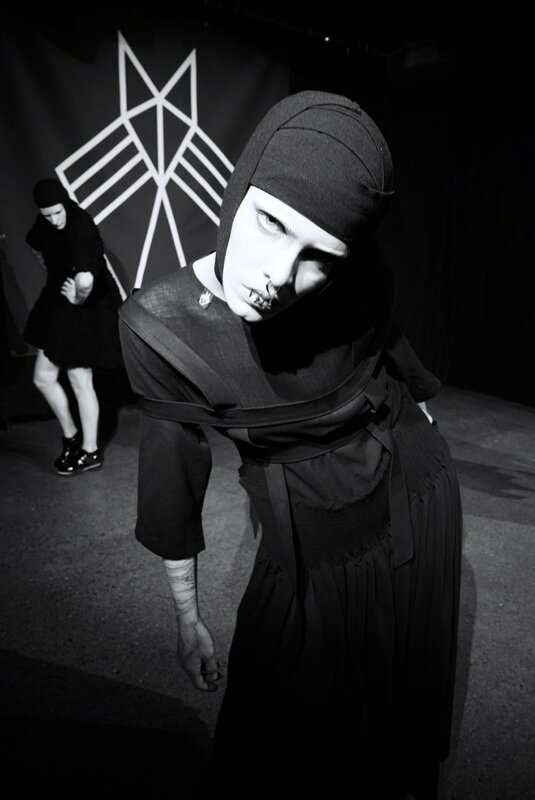 DIO - Designers In Oslo had its first showcase during Oslo Runway 28th of Jan. Together with 7 other designers Black Rat presented its new collection in Kulturhuset. The new Rat collection is called "Ansatt/Innsatt" (meaning "Employee/Inmate") and has gotten its inspiration from the book Skammens Historie by Sigmund Aas and Thomas Vestgården. The book features several abuses done by the Norwegian state against its own inhabitants throughout the time 1814-2014 (Since we got our own constitution). If you were for example gay, mental ill, a gypsy, sami or jewish you could be removed from the society and placed in an institution. In these institutions you would get a uniform, either as an employee or an inmate. This collection amplifies the power of a uniform. Either as a doctor or pasient. Warden or a prisoner. Strong or weak. The entire collection is made in 100% wool and most techniques have been picked from Norways national costumes, bunad.